At Mokena Foot and Ankle Clinic, we make every effort to stay up to date with the most current methods of diagnosing and treating various conditions of the foot and ankle. Everything from our digital radiograph and ultrasound technology to our digital method of fabricating custom insoles fabrication provide our patients with convenient and comprehensive care. Our doctors specialize in sports medicine, bunion correction, ankle arthroscopic surgery, fracture care, complex rearfoot and ankle conditions and diabetic foot care and limb salvage. 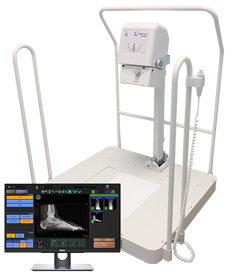 At Mokena Foot and Ankle Clinic, we utilize the very latest technology of digital imaging in providing an accurate diagnosis regarding bone and limited soft tissue conditions for our patients. 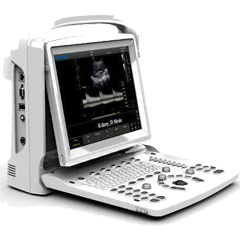 The 20/20 P-DR HG imaging system provides high quality images available for viewing within moments after the images are obtained. These highly detailed images are available for review in our patient treatment rooms on high definition wall mounted televisions in order that our patients can see for themselves the findings presented by the doctors. For a small fee, unless requested by another physician, digital copies of radiographs taken may be purchased on CD ROM. In cases where utilization of x-rays proved ineffective in visualizing the potential problem occuring, on-site diagnostic ultrasound capabilities allow for a more in-depth view of soft tissues involving ligament or tendon tears, inflammation, and even foreign objects in the foot. The quality of the images provided again allow for a more accurate and timely diagnosis and thus treatment potentially without the need to have an MRI performed. At Mokena Foot and Ankle Clinic, we make every effort to stay up to date with the most current methods of diagnosing and treating various conditions of the foot and ankle. Everything from our digital radiograph and ultrasound technology to our digital method of fabricating custom insoles fabrication provide our patients with convenient comprehensive care and new innovative treatments for foot and ankle problems. Now, Mokena Foot and Ankle Clinic has a new option for treatment of foot and ankle pain. We are introducing the K-Laser, a class IV Therapy Laser device indicated for the treatment and relief of muscle and joint pain, muscle spasms, and also pain and stiffness associated with arthritis. The device works by emitting energy in the infrared spectrum which provides topical heating for the purpose of elevating tissue temperature to promote relaxation of muscle tissue and temporary increase in blood circulation. The appropriate dose of light can improve the speed and quality of acute and chronic wound healing, soft tissue healing, pain relief, immune system function, and nerve regeneration. Elevates perceptive threshold of sensitive nerve endings resulting in lower sensitivity to pain. The number of laser treatments is dependent upon the condition for which you present. Usually, acute musculoskeletal pain is treated immediately for pain relief and can be repeated multiple times a day. For chronic pain, K-laser is applied every 2 days as the effect only lasts 48 hours. As the pain improves, the treatment doses can be extended to once every one to two weeks. Also, Presets on the device are specific for conditions that are being treated, thus you will have the maximum effect of this device for your specific foot or ankle condition with each treatment. Take advantage of this treatment in the care of your pain! By harvesting and managing the body’s own tissues, we can facilitate the healing of chronic wounds, chronic tendon and ligament injuries, and even arthritic conditions. Platelet Rich Plasma (PRP) therapy is a technique that falls under the category of Orthobiologics, which combines cutting edge technology with the body’s natural ability to heal itself. In use for at least a decade, this therapy has recently brought about successful results in podiatry. In preparing PRP, a small amount of blood is drawn from the patient and spun in a centrifuge, separating the plasma from the blood thereby increasing platelet concentration. Platelets are a component of the blood that play an active role in healing. The resulting Platelet Rich Plasma is injected into the slow-healing damaged area to jump start the healing process. In our practice, PRP injections are a useful tool to try as a step before surgery when a standard course of treatment has failed. A good example is the common heel problem of plantar fasciitis. If it is caught early, this type of heel pain can be treated with a regimen that includes anti-inflammatory medication, ice, stretching and arch supports. But after three months, scar tissue forms which causes chronic irritation and pain. Using PRP for plantar fasciitis is a novel and often highly effective use of this treatment. Other applications include tendon injuries such as Achilles tendinosis, arthritis in the great toe or ankle joint, and chronic ankle sprains. We also see a lot of “weekend warriors” in our practice; men in their 30’s or 40’s who over-extend themselves on the weekends playing with their kids and cause themselves more commonly either tendon or ligament injury, amongst many types. PRP is an ideal application for this group, comprised of relatively young and active people who can’t afford to take time off work. In the instance of a ruptured tendon, however, PRP would not be amenable for standalone treatment but may be used during operative treatment as an adjunct to expedite the healing process. Other candidates include anyone who is not a good surgical candidate, such as the elderly or those who have extensive medical problems. PRP offers a good way to address their issues non-surgically and potentially achieve a good result. As uses for PRP treatment expand quickly throughout the medical community, there is not yet enough research to establish guidelines for frequency of application, amongst others, for any given condition. Patients should not expect a “quick fix” with this therapy as the healing process takes time. Generally, one injection is administered and the foot is immobilize for a couple of weeks, followed by very gradually ease of the patient back into normal activities. As research in the extended applications of PRP continues to flood in, increasing numbers of insurance carriers are approving the procedure. Our office completes a pre-certification process to ensure coverage. If a patient is not covered, we will work with them on the cost. If it is determined that you need custom foot orthotics by one of our podiatrists, our office staff will pre-certify your insurance to determine coverage of the devices by your insurance plan, although there is never a guarantee of coverage by your insurance carrier. Once approved, an appointment will be made your feet will be molded. These molds are then sent to our lab for fabrication of the devices which are based on the doctor's exam and specifications. The devices are usually available in 2-3 weeks whereby an appointment will be made for a fitting to ensure the devices match your feet and the specifications made by the doctor. A fungus is an organism that is encountered all around our environment. It typically causes infections of the skin, such as athletes’ foot (or Tinea Pedis), with redness, itching, dry skin and possibly a rash developing. The organism thrives in dark, moist environments, thus shoe gear is a prime location for them to thrive. It also can spread from one part of the body to another or from person to person. When the fungus colonizes and infects a toe nail, it usually starts where it can get under the nail, towards the end of it. The nail will usually become discolored either yellow or brown and can become thickened towards the end of the nail whereby the changes can spread toward the cuticle. Sometimes when the nail becomes severely thickened, it can be painful in shoe gear. No one person is immune to the infection and thus it can affect people of all ages and ethnicities. People may at times injure their toenail by either stubbing it or dropping something on it and, as a result, the nail may perhaps become thickened and possibly discolored and even painful. This usually is a result of damage to cells that grow the nail. Sometimes a fungal infection can superimpose on the traumatized nail, but not always. For this reason, if one undergoes anti-fungal treatment, it may not work. Usually the doctors will recommend a nail biopsy, which is a safe and painless procedure where a portion of the nail is sent to a lab and tested for fungus. performed to assess whether a fungus is present prior to spending money on treatment for it. If the test is negative, you have saved yourself time and money. If the test is positive for fungus, however, there are a multitude of treatments for eradicating. These treatments range from topical medications to more aggressive treatments like nail removal. A new and exciting treatment for fungal nails is now available at Mokena Foot and Ankle Clinic called K-Laser. This treatment is a safe and simple non-invasive treatment designed to kill fungus without the negative side effects present in some treatment modalities, or the daily drudgery of applying topical medication for several months. K-Laser is performed in the office and takes as little as 15 minutes per treatment. While this treatment is effective, it does not replace the necessary precautions to ensure re-infection does not occur. Change or dispose of shoes, socks, or hosiery that may be harboring fungus, or use disinfectant to clean them. Changing shoes during the day also is a good preventative measure. Avoid wearing excessively tight stockings which promotes moisture. Disinfect instruments used to trim nails. K-Laser treatment is considered cosmetic and NOT covered by insurance plans. A typical treatment will take 15 minutes and is painless; patients may feel a warming sensation to the toe(s) being treated during the treatment. Patients will undergo 3 treatments, at weekly intervals as part of the laser treatment. Although K-Laser therapy is an effective means to resolve fungal infections of the nail, it should not be used as an isolated treatment but should be incorporated into a regimen of care including proper foot hygiene and possible adjunctive treatments. Use the online request form to easily request an appointment with a doctor.